We are the renowned Manufacturer and Exporter of a wide range FRP Profiles, FRP Cable Trays and FRP Gratings, etc. These products are known for their features like sturdiness, fine finish and resistant against corrosion. 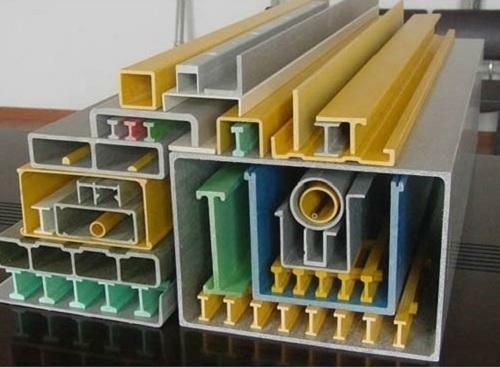 We are distinguished Manufacturer and Exporter of FRP Profiles, FRP Cable Trays, FRP Gratings, FRP Handrails, FRP Ladders, Light Poles, FRP Canopies, GRP Cooling, Tower GRP Gratings, GRP Cable Tray, GRP Ladder, GRP Clamp and GRP Profiles, etc. Besides, the products provided by us are well- known for their remarkable attributes like smooth surface, impeccable finish, sturdy construction, resistant against shock, ability to withstand adverse weather condition, thermal resistance and chemical resistance.